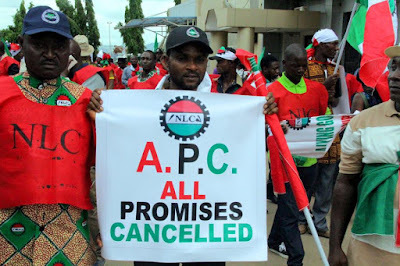 The Nigeria Labour Congress (NLC) has directed workers all over the country to proceed on a nationwide warning strike with effect from Thursday. This followed the delay in approving a new minimum wage. Though Vice President Yemi Osinbajo held a meeting with the tripartite committee last week in response to the threat, the unions appeared unimpressed.